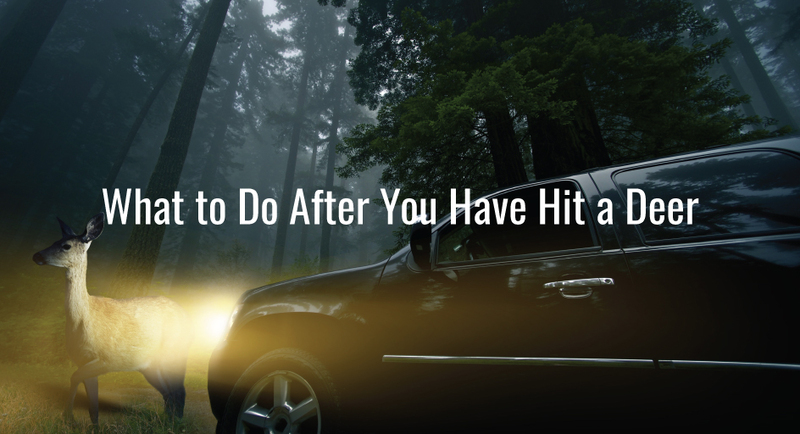 What to Do After You Have Hit a Deer - Shannon Insurance Agency, Inc. Accidents are sudden and very nerve-wracking. Although we try to avoid them as much as possible, they still occur in great volume. On average, there are almost 1.23 million deer-related accidents in the United States every year. This number grows around the later months when mating season is in session. This causes more deer to accumulate in populated areas, making some roads very dangerous for drivers. Hitting them is sometimes unavoidable because they appear in your direct path. While we hope this never happens to you, here are the steps you should take if it does. We understand that during a wreck you are so shocked that your priorities are all over the place. However, you should try to stay calm and pull to the side of the road as soon as possible. You are still at risk for being hit by oncoming traffic even though the wreck has already occurred. If you are able to move your car over, do so. Once you are safe, turn on your hazard lights, check your passengers, and take a deep breath. Don’t wait to give the police a call. Alert them of the situation immediately so they can handle everything. If the wreck is bad enough, they will need to direct oncoming traffic out of the way so you and others are kept safe. If the deer is still at the scene, it could block traffic and needs to be removed. When authorities do arrive, you will probably need to fill out an official report with them. Having the details fresh from the scene will be handy when filling out your insurance claim. When the road is safe, it’s time to start documenting. Take pictures of the scene including your surroundings, your car, the road, and any injuries you or your passengers have sustained. This will all be important information for your agent to look over when filing your insurance claim. Although it’s okay to check on the deer, you might want to do this at a safe distance. If the deer survives the collision, it will be rattled up and might pose as a threat if it decides to attack out of fear. Deer are known for having powerful legs and sharp hooves that provide a damaging kick. Like with the authorities, don’t wait to give your insurance agent a call. The sooner, the better. They can immediately get started on your claim when the situation is fresh on your mind rather than later when you might forget some details. Although you are probably more than prepared to go home, take a moment to examine your car thoroughly. If it has sustained a significant amount of damage, you should not drive home in it. You could put yourself in even more danger if you do. Instead, contact someone you trust that will take you and your passengers home while you have your car towed. When you are met with a tough situation such as a car accident, the last thing you need is added stress. Having the right agent on your side will give you peace of mind. Let us take care of you today. Give our office a call to see how we can assist you and your family.